Time flies. Before I can finish humming “jingle bells”, the air is now filled with “Gong Xi Ni, Gong Xi Ni” songs. 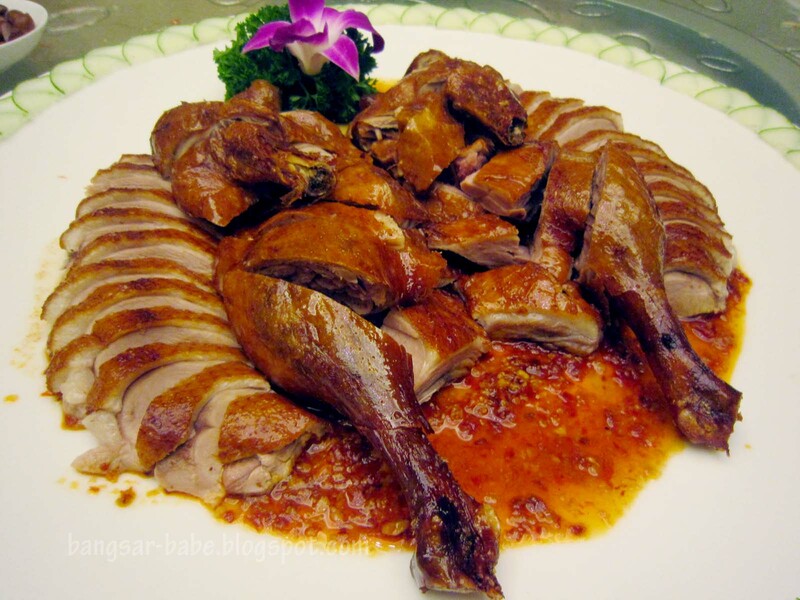 Many restaurants have put up their CNY decorations and created exciting new dishes to celebrate the New Year. I was recently at Zuan Yuan Chinese Restaurant, One World Hotel to try their new Chinese New Year menu. The sophisticated decor comprised silver leaf ceilings, ebony doors, mahogany furniture, plush burgundy carpet and antique wine jars. The dishes arrived one by one, starting with the Yee Sang with Seaweed and Assorted Fresh Fruits. Zuan Yuan offers 4 types of yee sang – seaweed with assorted fresh fruits, salmon with shredded sweet turnips, top shell and jelly fish, and sliced abalone and snow pear. 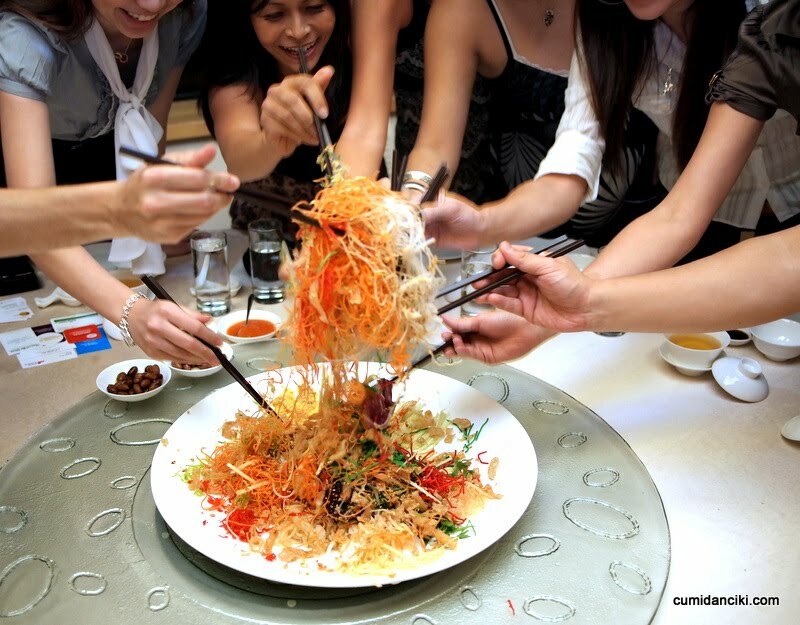 Toss the yee sang (lou sang)….for a prosperous year. Hopefully, I’ll have plenty of good luck, good fortune and good health this year. 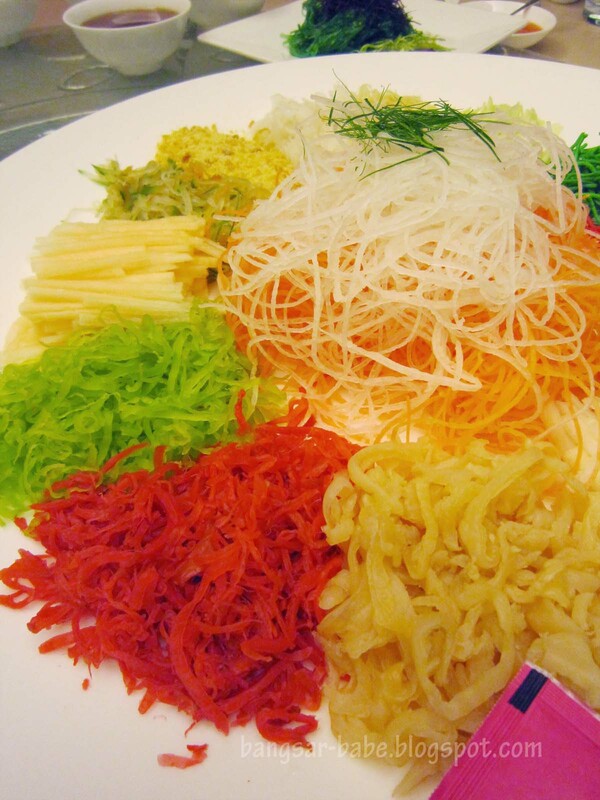 A Chinese chef once told me to leave a bit of yee sang on the plate, as it symbolises more abundance for the year to come. So I left some yee sang bits on my plate. This was one of my favourite dishes that night. 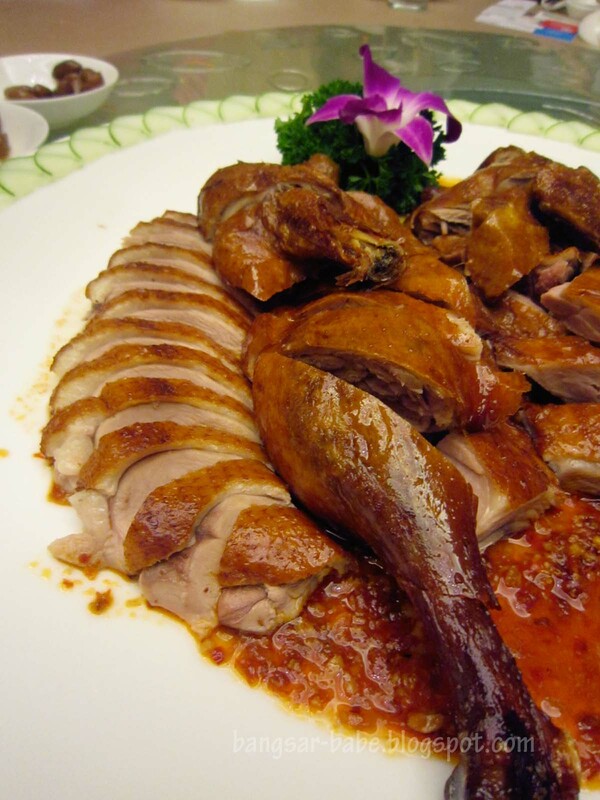 The duck skin was thin and crispy, and its flesh was firm and richly flavoured by the spicy sauce. 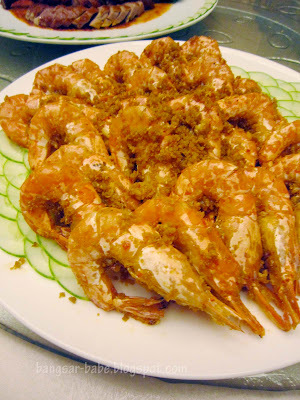 I liked that the natural sweetness of the prawn was not masked with a strong gravy. 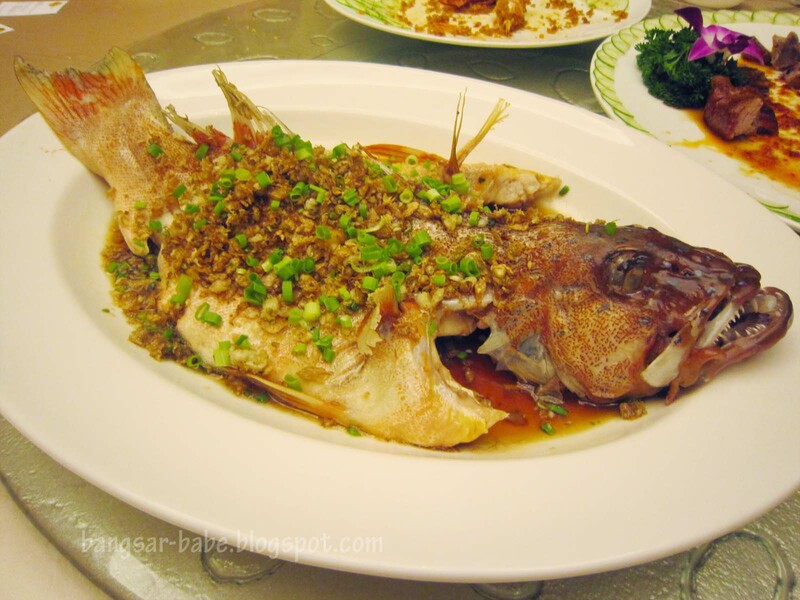 Instead, it was nicely complemented with a simple topping of fried garlic bits and chilli. I’ve never been a fan of fish, unless we’re talking about tuna belly, salmon belly or cod. The others said it was overcooked, but I didn’t notice it until they pointed it out. It could be because I ate the belly, which was the fattiest part of the fish. 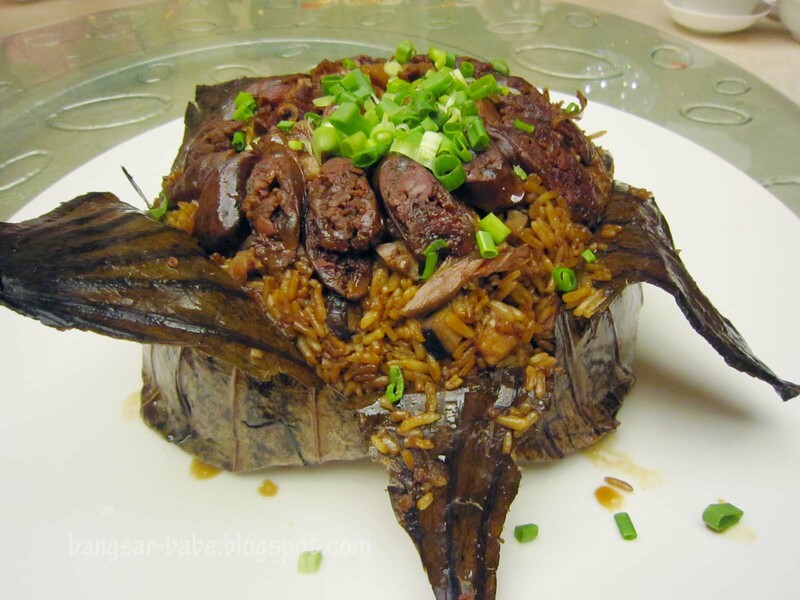 Braised Dice Sea Treasure, Dried Oyster and Sea Moss in Golden Bag with Green Garden is a common dish served during Chinese New Year. 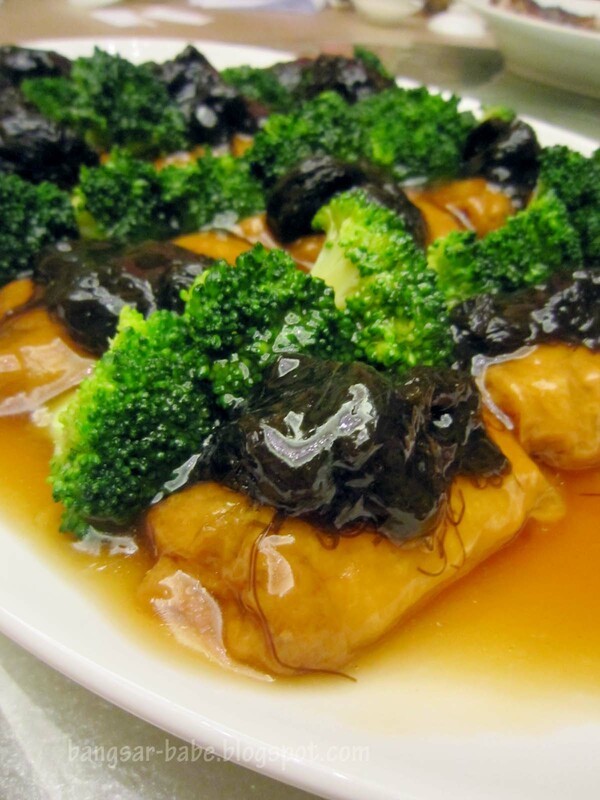 The golden bag was actually tofu pouches with chopped oysters, mushroom, sea cucumber, water chestnuts and carrots. Decent, but not my favourite. This dish comprised rice cooked with chicken liver sausage, salted duck, smoked duck slices, yam cubes, mushroom and dried shrimp. It was quite tasty and I didn’t feel disappointed that it was pork-free. 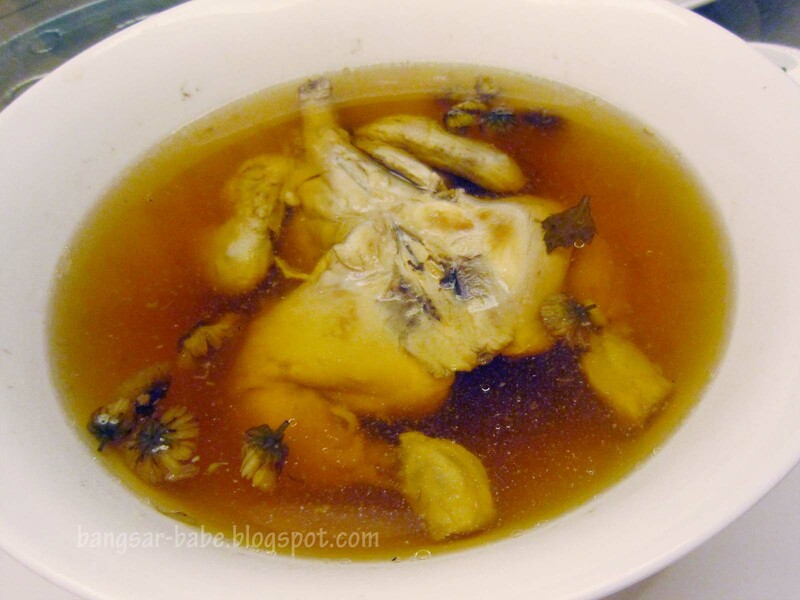 Chef Michael treated us to another dish – Spring Chicken in Chrysanthemum Soup. 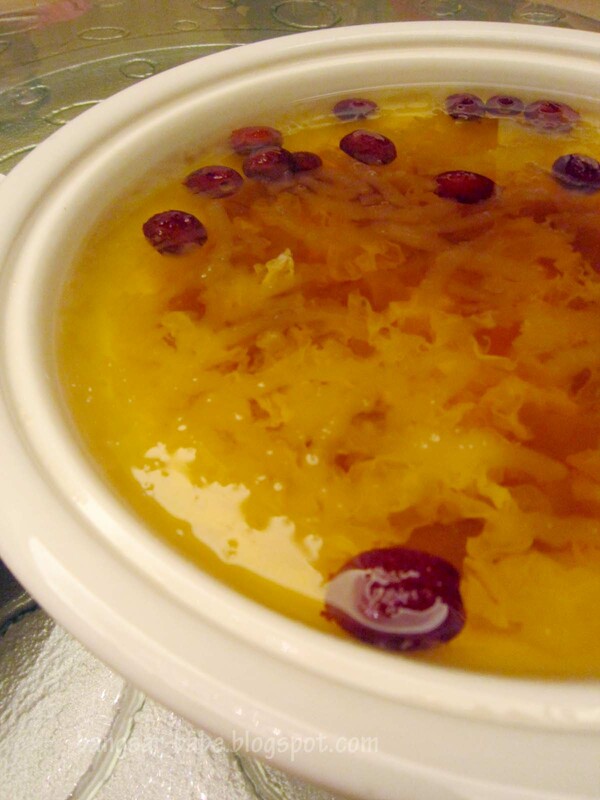 Chrysanthemum tea is something I drink often, but Chrysanthemum soup is very new to me. 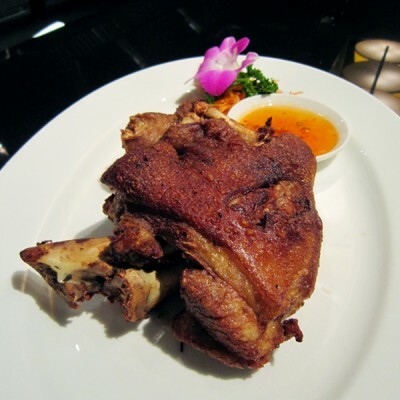 Tastewise, the soup was sweet, savoury and concentrated from the chicken essence. 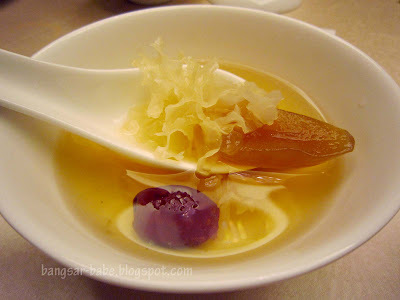 Double-boiled Sea Coconut with Organic Bird Nest, Red Dates and White Fungus had a strong hint of ginseng. 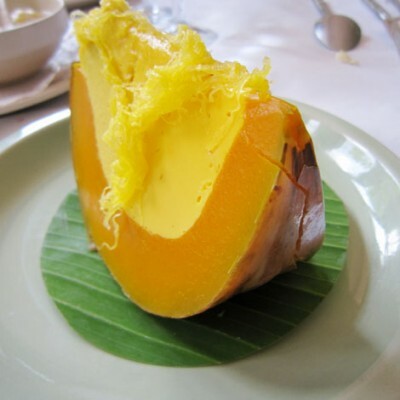 This was a refreshing contrast to the richly flavoured Deep Fried Avocado Custard and Homemade Ninko with Katafi Fillo. 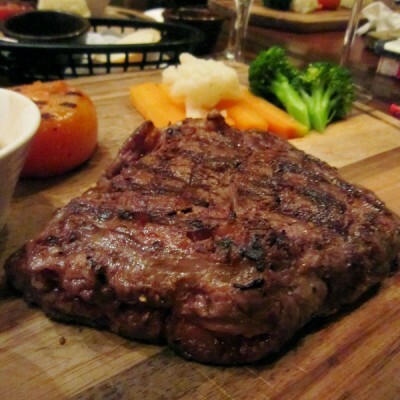 Overall, the food was quite good and the good company made dinner an enjoyable one. Thank you Florence and Crystal (from One World Hotel) for hosting us! Memoirs of a Chocoholic’s review HERE. a lil’ fat monkey’s review HERE. 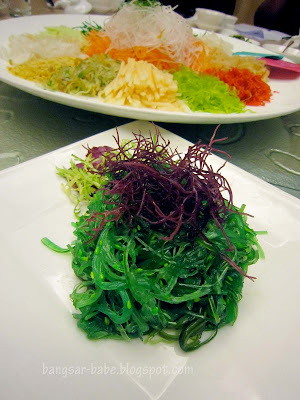 The Appreciation Set Menus are available from Dec 1, 2010 till Jan 31, 2011 from RM888++ per table of 10. The Auspicious Lunar New Year Set Menus are available from Feb 1-28, 2011 at RM988++, RM1188++ and RM1388++ per table of 10. Verdict: I enjoyed the food and the ingredients used were of good quality. Apart from the fact that it’s pork-free, there was really nothing to fault in the dishes. 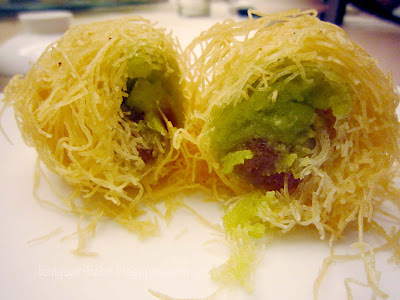 This has been the most consistently updated foodblog ever. I love it. Keep it up and have loads of fun on your wedding preparation. everyone is so ahead of time, i have heard rumours that australia going to start selling easter eggs soon! well everyone is trying to cash in during CNY… so I am not surprised taht they come out with CNY menu so early! after all, it's once a year event! babe_kl – Yup, it was! Joe – Ya…time flies. Too fast!